Jamie Gambell, the creator behind solid comic series such as The Hero Code has decided to give store platform Patreon a shot. You’re able to purchase, digital or physical comics of his comics coming out, similar to a crowdfunding site like Kickstarter. What’s nice, and special about this, is the profits that would normally go to Patreon will instead be donated to charity. In addition to Jamie Gambell receiving your pledge amount as support, for this holiday season Patreon will donate 100% of its proceeds to help fund HIV/AIDS vaccine research by supporting a revolutionary research team called Immunity Project. So, not only will you get a chance to get some awesome indie comics (trust me they’re really good), but part of your money instead of going to some heartless corporation, it goes to charity. Do some good, and get some cool comics too! This weekend Emerald City Comicon hits and comic book fans have an opportunity to grab two awesome comics from Monkey Pipe Studios. Severely depleted by a mission gone wrong, the mysterious Department O find themselves sequestered for a diplomatic mission, with a twist! This first issue of a new horror comic series is very deep in set up with not a whole lot being laid out or explained and that’s ok. The energy and excitement that bleeds from the pages got me excited enough to overlook not totally getting everything. Some times you need that and some times comics are so much fun, you don’t care. This is the latter of those two. The best I can do to describe the comic is thing of something out of Mike Mignola’s mind, whether it’s B.P.R.D. or Hellboy. The story seems very influenced by that in plot, art and color. And that’s very ok. Those comics are a blast to read so feel free to give me something similar! 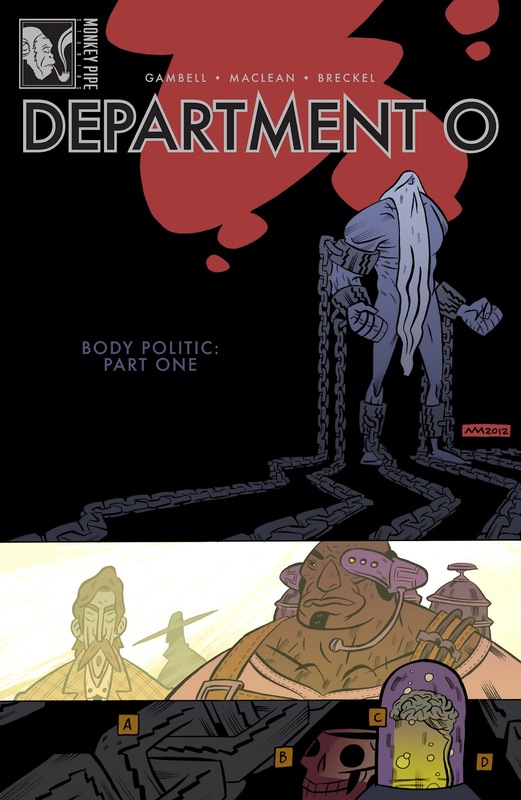 It’s hard to go in to details without giving too much away, but each character that makes up Department O is introduced. Each has their own quirks, all of which are interesting. And that’s where I’m going to leave it really. From the story to the art, there’s something very much Mignola about it all, and that’s a very good thing. The comic is fun, with great pacing, interesting characters and solid art. If you like Hellboy type comics, this is an absolute buy. 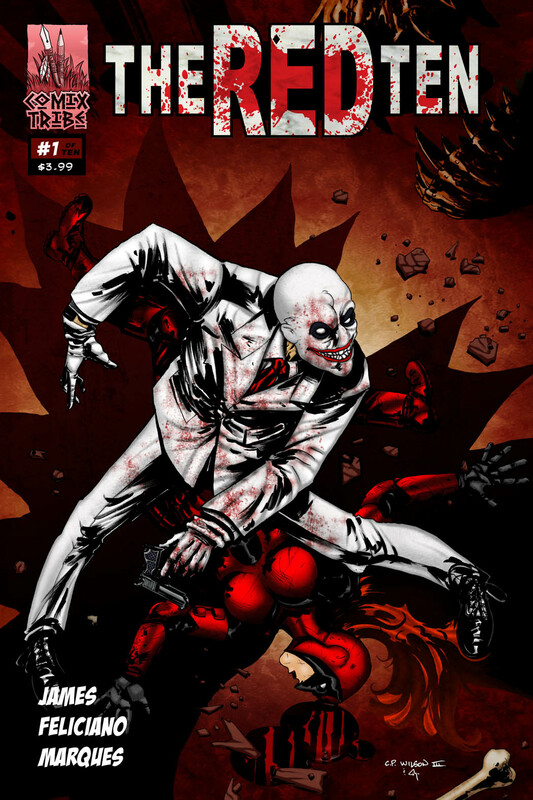 There’s been a resurgence of pulp characters and classic pulp comics. But in most of those cases, the characters have been modernized and darkened. Some times it works, but a lot of times you get a brooding hero that just seems like an anachronism. However, there’s some writers who understand how much fun the carefree pulp comics of the past are. The Black Wraith is a comic that takes more of a queue from Atomic Robo than the updating brooding retro heroes. 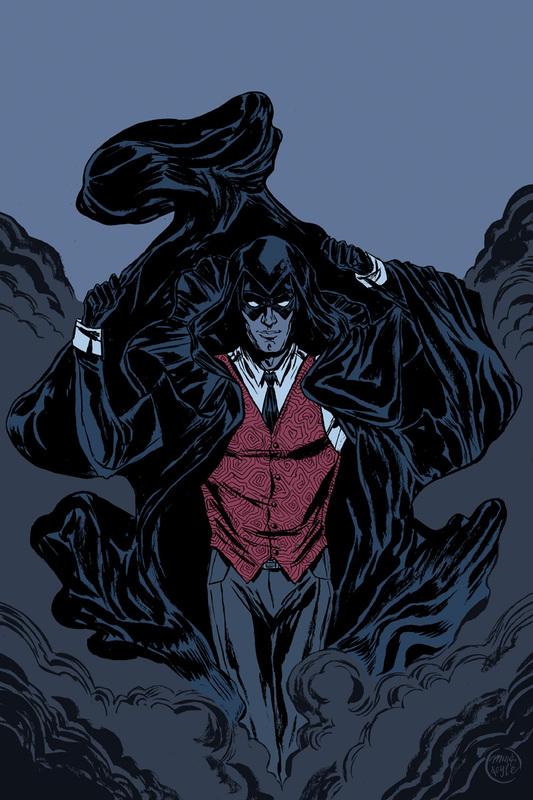 The Black Wraith will be the kind of story you loved when you were a kid that you can still love as an adult… I think what this book can do is inspire you to remember what it is about comics that made you fall in love with this medium in the first place. It wasn’t about angst, it was about hope. I think that really sums up the appeal of this first issue to me. It’s a fun comic with goofy characters and bad guys. It has lots of action and neat gadgets, but most importantly it’s entertaining. It’s a fun action comics perfect for adults and kids. It’s an action comic you can share and one that comes really close to capturing the family friendly classic pulp adventures that are to few these days. The theme for this pairing is “the,” just kidding, actually it’s two quality books independently published, but both would fit at a major publisher. 2011 was the year I really dove into “indie’ books and because of that discovered quality like these two. I’ll start right out and say, the comic is very familiar. There’s the “Superman,” the “Wonder Woman,” the “Batman” type characters, but the way the story unfolds, how each of those characters are portrayed and especially with the solid art, I just don’t care. I discovered the series on Kickstarter and happily contributed towards it, but when I saw the product I helped get produced, I was ecstatic. This is a comic I’d pick off of the shelf or be excited to get in Artist Alley at a convention. It’s quality. The premise behind the series is that every human on the planet holds within them a genetic coding which grants the carrier great powers. The catch – this code only activates when we are faced with near-extinction level threats. The series explores ideas about time, reality, and what it means to be a hero. The first issue is all set up. Full of action that just pops off the page with amazing art. I got to the end and immediately wanted more, a very good sign. The comic is familiar, but there’s an excitement and energy about it that are missing at times from other similar books. That feel makes the comic stand out and makes this one of my favorite finds of 2011. I’m not much of a fan of books. I really didn’t like reading them growing up, so the ones I really enjoyed I could count on my hand. Agatha Christie’s Ten Little Indians or And Then There Were None is one of those books I loved. The Red Ten is the super hero version of that story, which makes me wonder why the hell that hasn’t been done before?! What was fun reading this comic was, I had no idea that it’s similar to one of my favorite books. I got to the end and had a smile on my face. It’s a murder mystery except anyone can be the murderer or victim and I’m expecting twists and turns like the book it’s based off of. The art is solid, pacing great, everything is top notch. This was another comic I got to the end and wanted to read more. It was that good and that entertaining. Here’s hoping we see issue two soon, I really want to know who did it. In what appears to be the first of its kind, de Campi has offered a “retailer pack” of the graphic novel: 5 limited edition, numbered hardcover graphic novels (suggested retail price: $30) for $105, which works out to a 30% discount. The offer also includes an “art card” that can be sold immediately and also contains a password to read the digital edition of the graphic novel, which will be serialized at comiXology as the book is being produced. The participating stores will be the only retail locations selling Ashes in 2012. That’s fantastic except two projects (I found, might be more) beat Ashes by over 3 months when it comes to retailer incentives. 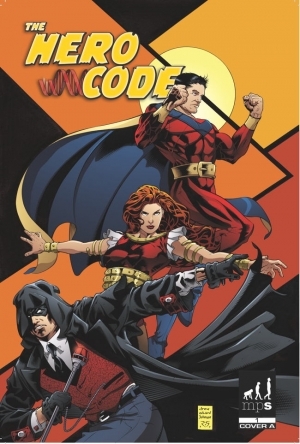 Super by Aberrant Press and The Hero Code by Jamie Gambell both offered incentives for retailers. Super saw two levels for $200 and $500. $200 – GROUP/RETAILER PLEDGE #1: 20 copies of the book will be sent to you as well as 20 of the preview books and 20 of the postcards and your name(s) printed in the book’s “thank you’s” section. Also, you’ll get a page of original art (again, first pledged gets first pick). $500 – GROUP/RETAILER PLEDGE #2: 40 copies of the book will be sent to you as well as 40 of the preview books, 50 of the postcards, your name(s) printed in the book’s “thank you’s” section and 10 of the signed and numbered prints! Also, you’ll get 2 pages of original art from the book (first pledged gets first pick)!!! AND A SPECIAL BONUS: A ONE PAGE AD FOR YOUR STORE OR GROUP OR WHATEVER REALLY (so long as it’s within reason)!!! $30 – *RETAILER REWARD* – x10 copies of the book, 7 standard cover, 2 JR Variant and 1 wrap around variant, plus a button, print and 5 full collections of trader card sets. Retailers can order more than one set. Great to see the coverage, even if the claims are wrong.